We Brits have enjoyed a love affair with chocolate that’s endured for centuries – in fact we’ve never really looked back since the very first chocolate factory opened in 1657, culminating in a chocolate industry that is worth an estimated 4 billion pounds today. Unfortunately though, not all of us are able to indulge in our penchant for the brown stuff with equal measure and those watching our weight, as well as those of us with an intolerance to caffeine, all too frequently miss out on some of the nation’s favourite confectionary products. 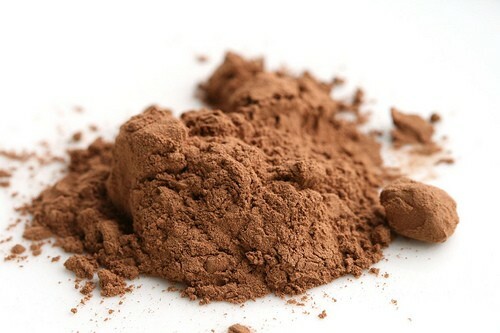 So if, like many, you too love the intense flavour of chocolate yet wish to avoid piling on the pounds or to prevent some of the more unpleasant symptoms associated with stimulant-laden mainstream chocolate such as headaches, insomnia and anxiety, then it’s time to discover carob powder – the delicious caffeine-free alternative to chocolate! Carob powder is made from the reddish-brown, edible legumes that grow on the carob tree (Ceratonia siliqua), an evergreen tree native to Mediterranean regions such as Southern Europe, Northern Africa and parts of the Middle East. These carob pods, which are also known as ‘honey locust or ‘St. John’s Bread’ (as they were reputedly eaten by John the Baptist in the wilderness), are extremely nutritious and as such, have been harnessed as a valuable source of food and a natural sweetener for more than 5,000 years. Loaded with vitamins (A, B1, B2, B3 and D), minerals (calcium, magnesium, iron, phosphorus, manganese and potassium), antioxidants, fibre and protein, carob powder boasts a rich chocolatey flavour and makes a particularly wholesome, non-dairy substitute for chocolate and cocoa powder. How does carob powder differ from cocoa powder? Unlike cocoa powder, carob powder doesn’t contain any caffeine or theobromine, both known stimulants that cause restlessness, sleepless nights, irregular heartbeat and in some cases, even visible withdrawal symptoms after munching stops. Carob powder is also free from oxalates, special ingredients found in chocolate that can inhibit calcium absorption and may lead to kidney stones. And compared to chocolate, carob is three times richer in calcium – registered dietician and founder of Chicago’s Nutrition Counselling Services, Jennifer Vimbor, advises that just 3.5 oz. of carob provides almost half the average person’s daily calcium requirement. In addition, carob contains one third less calories and seventeen times less fat than regular chocolate, meaning that it’s perfect for those of us with an especially sweet tooth and who are subsequently struggling to lose weight. The Ancient Egyptians used anti-allergic, antiseptic and anti-bacterial carob as a powerful digestive aid. As the ‘Physical Nutrition’ website suggests, carob performs a binding action within the intestinal tract that can help to regulate our digestion and prevent or treat the symptoms of diarrhoea, nausea, vomiting, acid reflux and upset stomachs. An excellent source of fibre and protein, carob is not only cholesterol free, it also contains pectin, which actively lowers cholesterol levels and demonstrably decreases our risk of heart disease – indeed, scientific research published in 2010 in ‘Plant Foods for Human Nutrition’, revealed that patients taking carob fibre reduced their total cholesterol levels by around 18 percent and their LDL cholesterols levels (the ‘bad’ cholesterol that collects in the walls of blood vessels and causes atherosclerosis) by an impressive 23 percent. How can I enjoy carob powder as an alternative to chocolate? Raw carob powder is an awesome alternative to sugar, artificial sweeteners and cocoa powder – it can be stirred generously into smoothies, shakes and protein drinks for a delicious flavour similar to chocolate or used as an indulgent ingredient in a range of mouth-watering raw desserts and cakes. 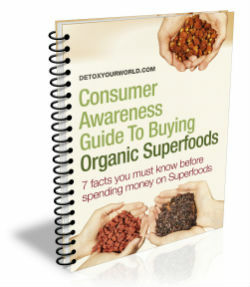 Tags: buy organic carob powder online, buy raw carob powder online, caffeine-free chocolate, carob the caffeine-free alternative to chocolate, carob the low calorie alternative to chocolate, carob the low fat alternative to chocolate, health benefits of carob powder, how is carob different from chocolate?, natural sweeteners, what is carob powder? Nice to know! 🙂 I love carob – especially after finding that my body can’t seem to tolerate cacao! Will be including it in my diet even more now I know this! Thanks! We should definitely be using this more often! 🙂 Carob rocks!!! Just wondering what your source is regarding carob not containing oxalates? It’s just that I am trying to switch from cacao to carob but need accurate info and every other website says it’s high in oxalates!